The master’s thesis is a long and gruelling project. While the lessons learned from the process of formulating a research question, developing a research design, and conducting fieldwork are often more significant than the content produced, it seems a shame to let so much work simply gather dust upon graduation. Members of Cohort 06 decided to give their research a second life. Cities: Changes, Places, Spaces has recently been published by the Department of Geography and Regional Research, University of Vienna. 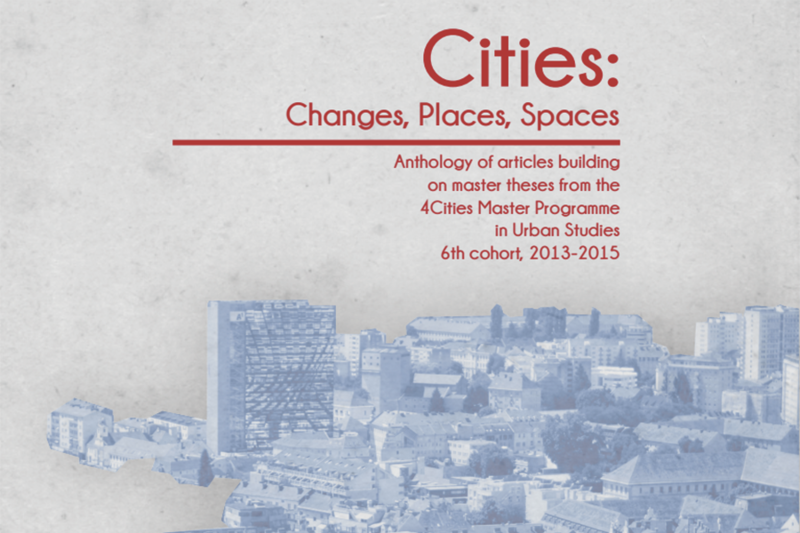 The book is an anthology of articles authored by nine members of 4CITIES Cohort 06, with each article building on research conducted for the master’s thesis, and edited by Sune Stoustrup, also from Cohort 06. Topics investigated in the articles range from the formalization of temporary use in Barcelona and Copenhagen to the spatial patterns of social housing in Vienna, approaches to post-sprawl transition in Flanders, and the relationship between architecture and education in Manchester and Copenhagen. Cities: Changes, Places, Spaces can be downloaded free of charge here.